Moldova's president has defied the country's consitutional court by rejecting its decision to temporarily strip him of his powers. It comes after Igor Dodon blocked the pro-Western government's choice of new ministers in a reshuffle. He'd accused them of incompetence and some of having links to a billion euro corruption scandal. 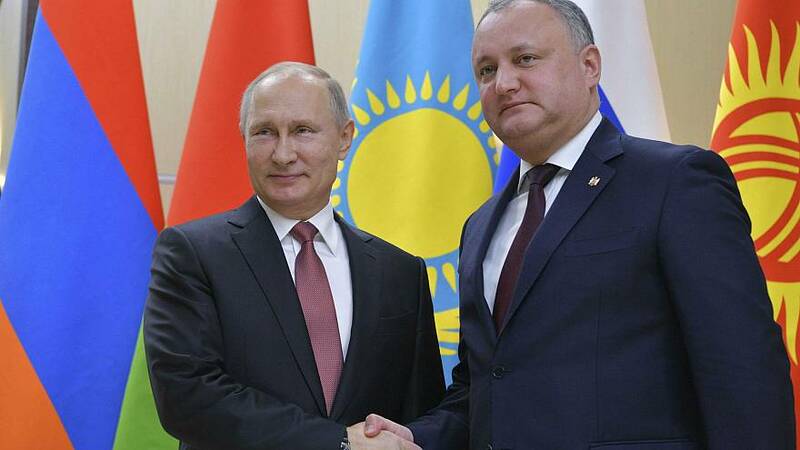 In a Facebook post, Dodon said "As for my position, I decided not to give in. It's better that than to spend years explaining why some or other of the compromised ministers were appointed to the post." Outside the court the president's chief councillor Maxim Lebedinschi said the move against the president had been entirely "politically motivated" and orchestrated by an "unconstitutional body." Some members of the ruling coalition, however, have accused the president of creating a crisis for purely personal reasons. Democratic Party member Sergiu Sarbu said: "The court is here to resolve problems between the state powers. We need a functional and stable government. This blockage has been caused by the president's unfair rejections." It's the latest in a series of spats between Dodon and the government of prime minister Pavel Filip which favors closer ties with the EU and the United States.